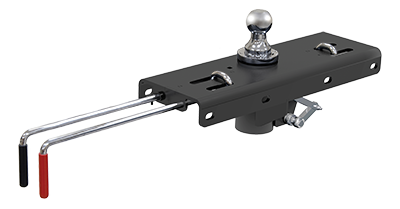 The CURT Quick Goose II gooseneck hitch makes it easy to prep your truck for towing a gooseneck trailer without hassle. It has two handles, positioned under the truck wheel well -- no need to climb in and out of the truck bed. It is rated to 30K pounds and installs with custom brackets.